The bidding war for 10 Pennsylvanian satellite casinos begins in January according to an announcement made by the Pennsylvania Gaming Control Board (PGCB). The first round of the highly anticipated auctions for the Category 4 casino licenses will be held at the organization’s offices in the Harrisburg capital on January 10th. After this, there are nine more auction dates where one casino license will be awarded to the highest bidder at each of the meetings. As far as the opening round is concerned, only the current Category 1 and Category 2 casino license holders in the state will be allowed to partake in the bidding. This means a total of 10 casinos out of the 12 operational casinos in Pennsylvania will be the initial participants of the bidding wars that will see them battle it out for the 10 satellites on January 10th at 10 am. The auctions come just a couple of months after Governor Tom Wolf signed a massive gambling expansion package into law in late October – this law is responsible for the authorization of the 10 mini casinos whose licenses are being auctioned currently. There are, however, a few terms to the establishment of the so-called mini casinos – each of them must at least 25 linear miles away from existing Pennsylvanian casinos and they will be allowed to house a maximum of 750 slot machines and 30 table games. Furthermore, the satellite casinos are all required to share their slot machine and table game revenue with their host towns to the tune of four percent each. On the opening auction even on January 10th, the bidding will start at $7.5 million with an additional $2.5 million for table games. As expected, the highest sealed offer by January 10 will be awarded the right to choose a rural municipality in which they will set up their satellite casinos so long as the communities in the said municipalities do not remove the town’s candidacy. 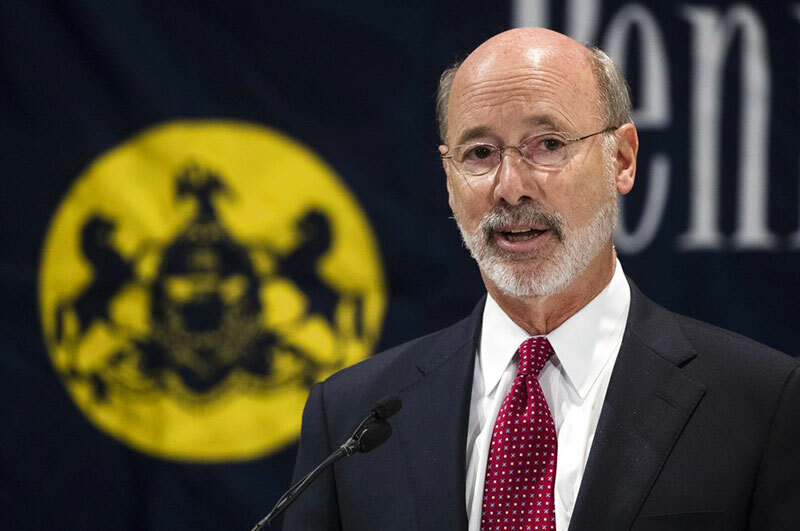 Other than the satellite casinos, the law that was passed by Governor Wolf also legalizes airport gaming lounges, daily fantasy sports, online gambling, as well as gaming machines in some truck stops. In addition to these, the law also creates a regulatory framework for sports betting in case there are shifts in the federal law. Municipalities that do not want to host any of the satellite casinos have until December 31st to pass resolutions to ban Category 4 gaming and notify the Pennsylvania Gaming Control Board through local officials. Next articleWSOP Confirms Leaked Schedule – With A Broder Game Selection Then Ever Before!